First Things First is a revolutionary guide to managing your time by learning how to balance your life. Traditional time management suggests that working harder, smarter, and faster will help you gain control over your life, and that increased control will bring peace and fulfillment. 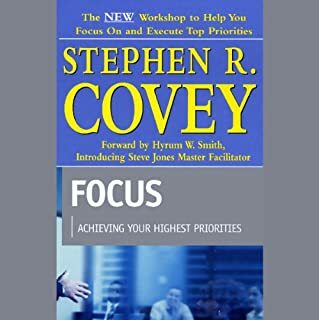 But in the first real breakthrough in time management in years, the authors of First Things First apply the insights of The 7 Habits of Highly Effective People to our daily problems of struggling with the ever-increasing demands of work and home life. Rather than focusing on time and things, First Things First emphasizes relationships and results. And instead of efficiency, this new approach emphasizes effectiveness. It tells us why we feel a gap between how we spend our time and what's deeply important to us; how focusing on efficiency and control increases the gap instead of closing it; how to determine if what you're doing is really important, or only urgent; how to overcome the tremendous gravity of habit; how to put people ahead of schedules; and how to lead your life, not just manage your time. 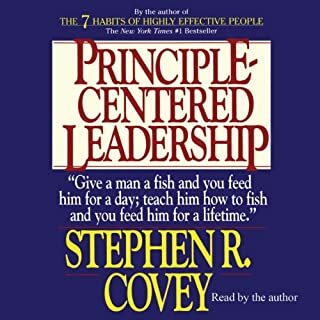 Offering a principle-centered approach and the wisdom and insight that made The 7 Habits of Highly Effective People a #1 best seller, First Things First empowers listeners to define what is truly important; to accomplish worthwhile goals; and to lead rich, rewarding, and balanced lives. 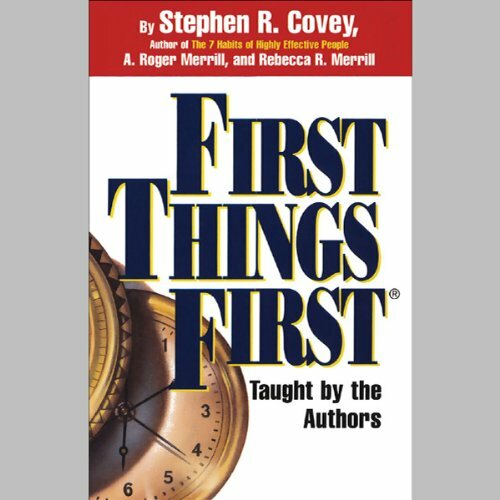 ©1997 Stephen R. Covey (P)1997 Covey Leadership Center, Inc.
What would have made First Things First better? I purchased hoping that i would cover the entire book. Well it just overview in 1 hr timeframe. I hope you will release entire book. Disappointment because it didn't cover the entire book for this money. What disappointed you about First Things First? This recording is only a little over an hour long. The book is nearly 300 pages. Do the math. Most of it's missing. He didn't read the whole thing. Skip it. Buy the book. Warning: Only one hour long. This is an abridged version of the book. I bought it under the assumption that it would be a full audio book and was disappointed to find it was only 1 hour long. I can't say that there is anything new here. This book does not seem to answer the question of how to put First things First as the title suggests. In my humble opinion this is just a filler book. One written to keep the public interested in Franklin Covey until they could come up with something else. if your are trying to develop your Mission statement and roles and goal and to follow thru on them a better book to get is What Matters Most. This is an excellent book. It helps one to develop a schedule based on correct principles instead of on a clock system. That way your time is spent doing what is important rather than have your life dominated by the urgent. (urgent doesn't necessarily mean important), listen to the book. I have ADHD and this recording and the print book have been very valuable to me. 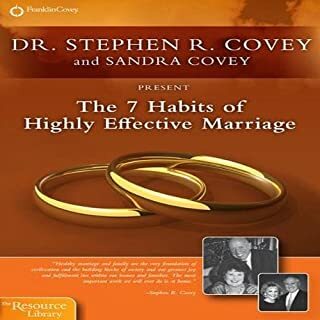 I would recommend using it along with the print version of the book along with the Seven Habits of Highly Effective People. Yeah it is true. It's basically the same thing you will find in main book. But none the less - I liked this book, and I recommend it to everyone. The book itself is short, but filled with very useful information. 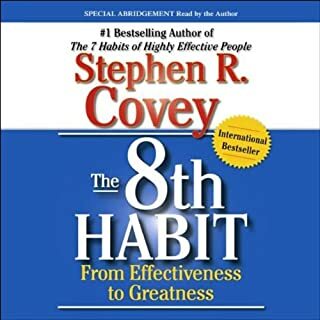 I had listened to original 7 habits book, and then to 7 habits of highly effective families, and now this (and will continue on with all his books). And to be honest - only in this book, where it was mentioned that example about bowl - fill it with stones, sand, water... the main idea of it - I only grasped now, in this book, but I had heard that story many many times.. It is just proof to me that re-listening over and over again same things - you grasp more and more. Totally worth it! The audio book offers very little value and is about 1/9 of the material covered in the hard copy. I ordered the audio book for school and ended up having to purchase both. Skip this one. Very touchy-feely. Very little substance, not systematic, mostly a rewrite of his Effective People books. I was looking for something else. 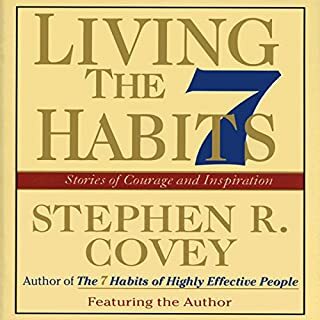 Very insightful and helpful but repetitious of the 7 Habits. of Highly Effective People by the same author. A complete set of guidelines for life organisation. This is practical and useful. I Like it. Its a brilliant book. Its message came across better in the form of an audio book read by authors themselves. The book has profound wisdom about our modern day lives, and pinpoints where thongs are going wrong. Life changing. Best philosophical and practical self management book on the planet. This audio version a bit short but still valuable. Everyone should be made to listen to this. Yes definitely. 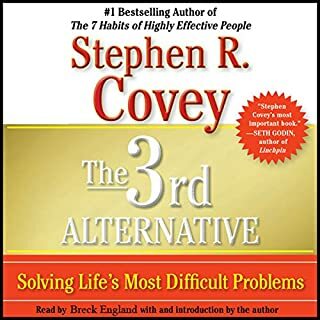 This should mandatory reading/listening for everyone caught up on the daily hamster wheel of life, running at a hundred miles an hour and forgetting what life is really all about. The relaxing tone of the author/narrator and his ability to make one think very quickly of the things that give meaning to our personal journey of life. All are highly enjoyable. It is best to be somewhat relaxed when listening otherwise the speed of delivery may be frustrating. It often made me smile when asked to think of the things that are important in my life. There is nothing useful in this book. It is no more than drivel. The author speaks for the sake of speaking. It is a complete waste of money. I was disappointed with the detail in this narration of First Things First. There is so much more in the actual book that isn't covered in this narration. I really liked this audio book, short and sweet, straight to the point. powerful and aplicable to everyday life.